With the LaTeX support SDAPS provides an easy way to build questionnaires. Using this class together with SDAPS you can create and analyse a survey in a breeze. Creates a complete machine readable description of the questionnaire. This contains exact positions of boxes and questions with answers. A collection of examples can be found here. Some information here. Nothing special, just adds a line above/below. To create a new questionnaire it makes sense to copy the files from the sdaps/tex directory into the same directory of the questionnaire. This way you can compile the document using pdflatex for testing purposes. If you installed SDAPS, then the files should be in /usr/share/sdaps/tex or /usr/local/share/sdaps/tex. If you decided to not install SDAPS then the translation files need to be copied separately. They are created when building SDAPS and need to be copied from the build/share/sdaps/tex subdirectory. There are a number of options (SDAPS and standard LaTeX) that affect how SDAPS works. The following table lists these options. a4paper,letterpaper,… Select paper size, normal LaTeX mechanism. Note that the default A4 paper size has a slightly different size than specifying “a4paper” (it is impossible to see, but SDAPS sees this as a form change). >The purpose of this barcode is user defined. print_questionnaire_id not set If specified then a unique Questionnaire-ID is printed on each questionnaire. This ID can be either random or user defined. This can be useful for non-anonymous surveys or for questionnaires with a lot of pages and you want to use the reorder command. oneside,twoside twoside Select simplex or duplex, normal LaTeX mechanism. When selected the barcodes are printed on every page, and you can print the survey in simplex mode. Note that SDAPS assumes a simplex scan, if you scan duplex (scanning an empty page for every page of the questionnaire) then you need to specify the --duplex option when add ing the image to the project. checkmode checkcorrect Select the mode for checkboxes. This can be either checkcorrect meaning check is selected, filled is again unselected. check meaning a check selects the box and unselecting is not possible and fill requiring a proper fill to select a box. no_print_survey_id not set Only works in classic mode. In that case you get marks in every corner identifying the page and its rotation. No further code is added. pagemark not set Specify to see corner marks. Always set this option for a more accurate preview. stamp not set Specify to see barcodes. Always set this option for a more accurate preview. The options print_survey_id, print_questionnaire_id both have their counterpart with the no_ prefix to disable the option again. For stamp and pagemark it is nostamp and nopagemark currently. Main environment that everything needs to be wrapped in. An optional argument [noinfo] is supported to suppress the default information message about filling out the questoinnaire. Adds a section for information. This is simply surrounded by a line at the top/bottom. Using addinfo you can add information that SDAPS will later put on the printed report. The command has to arguments a key and a value. The singlemark can be used for range questions. You pass it a question and description for the lower and upper bounds. This environment is used to create a question with a set of arbitrary answers. The answers are put into a tabular environment and with a specified amount of columns. Inside this environment you add a new choice simply using the choiceitem macro. If one of the possible answers is too long, you can also use choicemulticolitem. In addition it is possible to add a freeform text box. This can be accomplished using the choiceitemtext macro. A possible choice in a choicequestion environment. Only has one argument, that is the description. The same as choiceitem but takes an extra argument to specify the number of columns to use. Adds a freeform text field to a choice question. Often it is impossible to add all the possible answers, so this gives the interviewee the possibility to add an arbitrary answer. The command has three arguments. That is the height (eg. 1.2cm) then the width in columns (the textbox is automatically stretched to fill the horizontal space) and a description string for the box as the last argument. A markgroup can be used if you have a set of similar “mark” style questions. This command uses a lot less space on the paper compared to using singlemark. The environment has one argument which is a header for everything. markline is then used inside this environment. This command is used in the same way as singlemark but can only be used inside a markgroup environment. Similar to markgroup for markline there is a choicegroup command for the choicequestion environment. For all of the questions inside a choicegroup the answers possible choices need to be the same. Another difference is that it is not possible to add freeform text fields. This command can be used to add choices to a choicegroup. It can only be used a the start of the environment. This command is then used to add a single question. The textbox command adds a freeform text box for the interviewee to fill out. It has two arguments. The first is the minimum height and the second a description which is printed on top. The textbox will be expanded automatically to fill all available vertical space! If you do not want this, you can use the starred version \textbox*. \checkbox* can be used to place a box that looks exactly like a checkbox, but will not be used by detected SDAPS. The \checkbox command is used when typesetting questions and stores the data about the checkbox position in the description file. 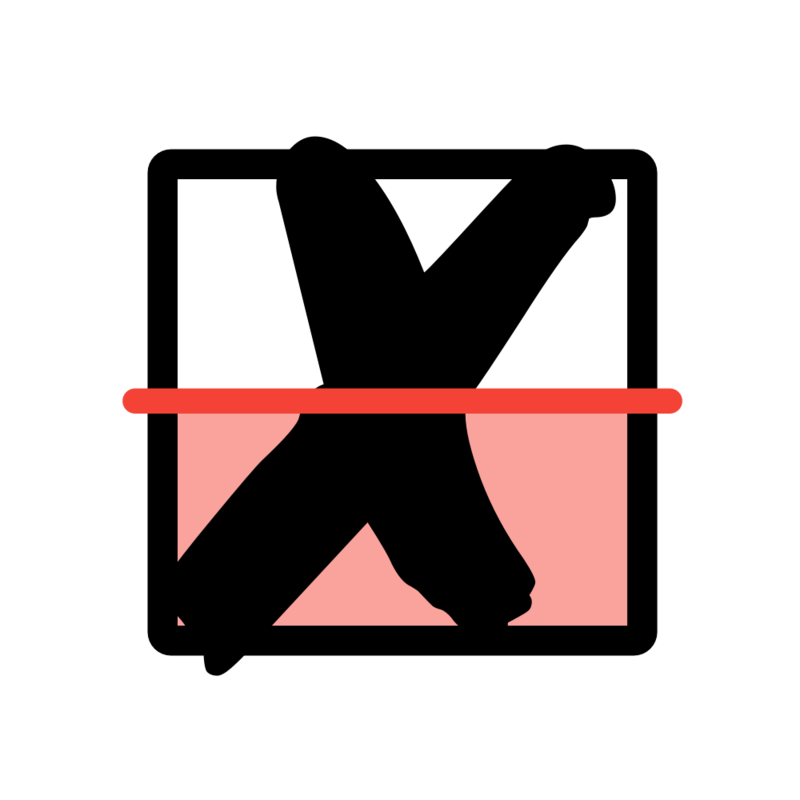 \checkedbox renders a box that with a cross drawn inside it. It can be used for instrucations. \correctedbox draws a filled and checked checkbox for instructions. These only works in SDAPS 1.1.2 and newer. markcheckboxcount counter 5 The number of checkboxes in mark questions (singlemark and markgroup). There are more defines that configure the layout of the corner marks and barcodes. You should never change these (if you do, then you also need to modify defs.py)! singlemarkchoicefont choicefont Font used in singlemark questions. marklinequestionfont Font used for the question with the markline command. marklinechoicefont choicefont Font used for the answer with the markline command. There are some colors that can be modified if required. Feel free to add more examples to this page. The example from the Tutorial. This example uses most features that SDAPS has. © 2018 Released under GPLv3+/LPPLv1.3c+ – Documentation built with Hugo using the Material theme.